Superior Gulf view vacation home at 1101 Ariola Drive! 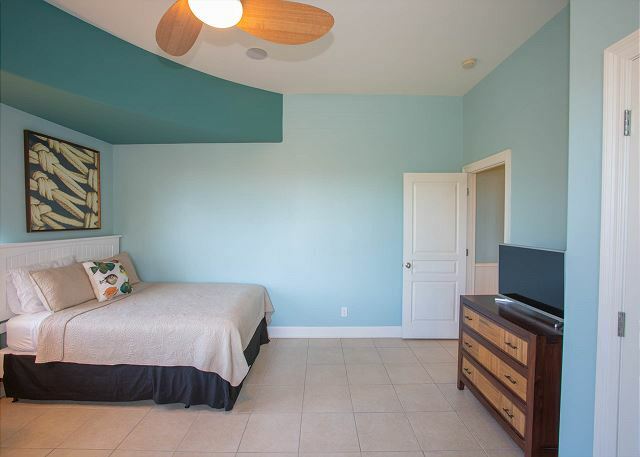 With seven bedrooms and five full bathrooms, it's perfect for large family vacations. And it even comes with a large private pool. 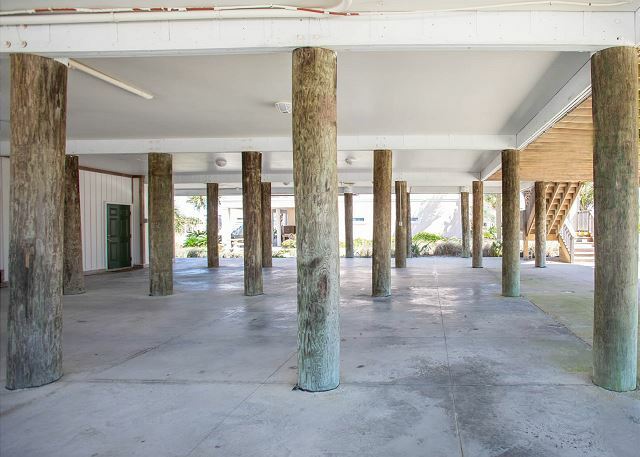 Located on a residential street just across from the beach, the large, Gulf facing deck has lots of seating, beautiful views, and easy access to the beach. The over-sized, open concept kitchen/dining/living area is ideal for large family gatherings. There are two full-sized dining tables accommodating up to 16, with seating for five additional people at the bar. The kitchen is modern and spacious with lots of work area for food prep. There are three king suites with private bathrooms and four bedrooms with two queen beds in each. Just down the back steps and through the gate you will find your private pool and BBQ area. Beautiful coastal colors and décor throughout. Bring your family and friends and make memories in this incredible home! We have rented 1101 Ariola Dr for three years straight. It fits our 18-20 people comfortably! Beach access is right across the street and the beach is stunning! The house is clean and updated. Would recommend highly! Thank you for your review and we're so glad you enjoyed your stay at 1101 Ariola! We appreciate the repeat business and we look forward to your return! Great house for large groups! We loved the location, size and layout of this house! Perfect for large groups. We are so glad to hear you enjoyed your stay at Ariola 1101 and look forward to seeing you again on your next trip to Pensacola Beach! We have stayed here many times and there were new updates to appliances that made the cooking easy and fun. Had a great week in the house! this house is perfect for large groups. it looks like the just remodeled the kitchen and painted. 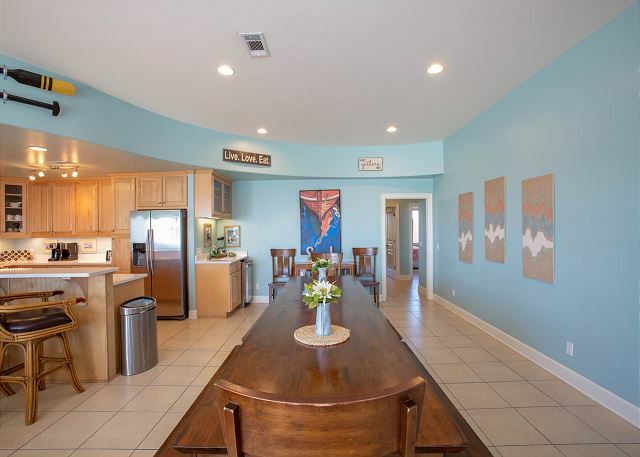 lots of space, long benches in the kitchen area where everyone can eat together...all with a view of the Gulf. 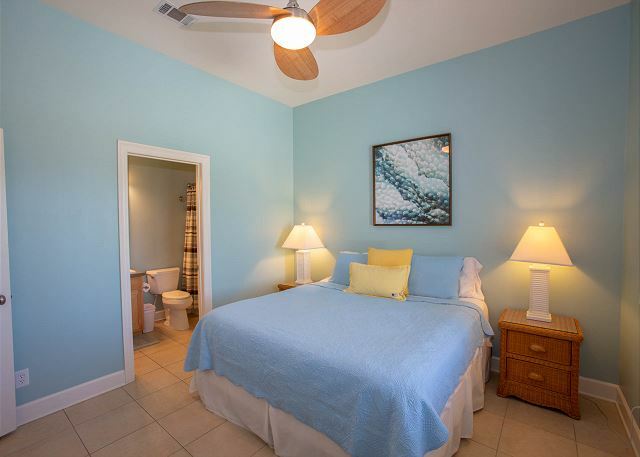 Paradise Beach Homes was a delight to work with and was most helpful with an early check-in. House has seven bedrooms and we had 18 people (3 children) stay for a long weekend. Pet friendly house (but not allowed on the beach) with a great deck (decent view of beach due to walk-over and fact that house is on a corner of an undeveloped street servitude (apparently). House across the street (which is gulf side) blocks view. 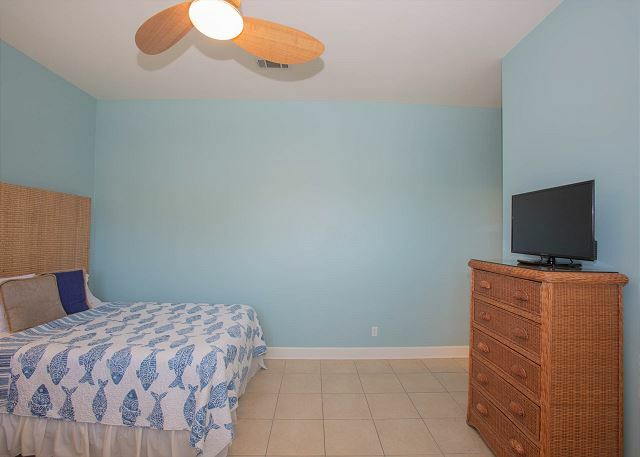 Very, very well kept and clean; a lot of parking; unheated pool; gas barbecue pit; two refrigerator / freezers; "mud room" stairwell and lots of deck furniture make this house a delight for a long weekend rental. Loved the house!! Very spacious, close to the beach, well equipped kitchen. Cant wait to stay here again!! First the team at Paradise rental was just great and very accommodating. Once we got to the rental it was just like the pictures on the web site. The place was clean and well organized. It was 21 on us and we had such a great time. The neighbors were very nice and being across the street from the beach was awesome. This was the second time renting 1101 Ariola Dr and it did not disappoint. Enough bedrooms and space for the 20 of us! The pool was clean and has a nice area for lounging. the front porch deck with a seating areas and tables was one of our favorite spots! Access to the beach is right across the street and ocean views were beautiful. The ONLY issue we had is that the three rooms with two beds each shared one bathroom. Could possibly have one of the king rooms convert to a two bed room to help with showering. Pick up and drop off of keys was easy and close to the house. Would stay here again without hesitation. This is our second year at 1101 Ariola and we are already booked for next year. This house plenty of space for our ever growing family. We really enjoy the pool out back as this seems to be our gathering place after spending the day at the beach. Kids really enjoyed the pool although wish it was a little bigger. This house is perfect for our family vacation and hope to be able to come for many years ahead. I would highly recommend it for large families or groups. Very close to beach and views of the ocean. Overall it was a good stay. A few extra touches not previously seen. But a few things were less than expected. Washer and dryer are too small and very old and noisy. Dishwasher didn't work as it should (jets clogged and not functioning well. Most dishes had to be washed by hand. The kitchen sink faucet had mold and disgusting deposits all over the opening. (I have a photo of this if anyone interested) Had to request a working coffee pot. Things called on were handled promptly. We are an understanding group, but would like to see some of these things in better order. This is our 2nd year in this house and have already rented it for next year. 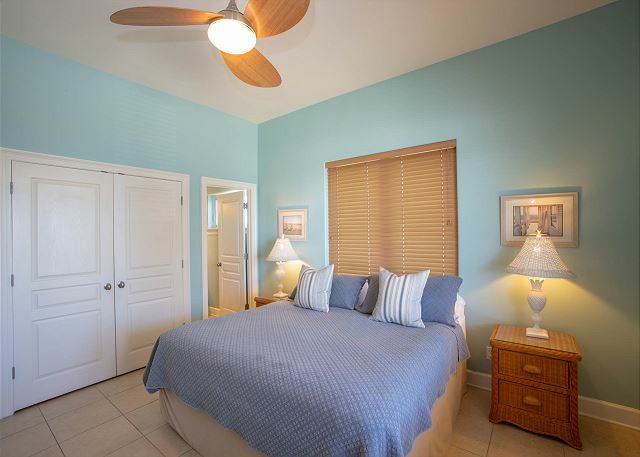 The A/C works great, it is near a boardwalk for easy beach access and it is very well maintained. My husband and I host a week long yearly beach vacation in Pensacola as a Christmas present to our children and grandchildren each year. This is the second time we have chosen Ariola 1101. We really like the size and location to the beach as well as the pool. Several families were needing a place to stay in Pensacola for a graduation. This home is spacious and well-maintained. Plenty of room for our needs. It was close to the beach. It was a nice, quiet beach area away from the many hotels. It was a wonderful location for our family's needs. Had a great week in this house. Great company to rent from. We had a few issues with the house from the previous occupants but was fixed quickly. We will be renting this house every year from now on. This house was GREAT! The location couldn't have been better. Even though not directly on beach, it's next to the beach access! Clean & spacious. I would definitely rent this home again. PBH management was great, too! The only complaint a are more fridge/freezer storage & tankless water heater- we ran out of hot water very quickly everyday so people had to take cold showers. Had guests from out of town for a get together to celebrate a 50th birthday. Overall we had a great time and stay at this property. Very spacious and accommodated our family. However, when we first arrived there were dead bugs EVERYWHERE. Our guest started to arrive for their stay and I was so embarrassed of all of the bugs. I'm not sure if there was a bomb set off shortly before but it was just terrible at all of the bugs we had to clean up. I'd recommend a final walk through before guest are issued the keys. But besides the bugs everything was great. There were problems with the home that we originally rented and we contacted PBH office immediately. Hope,with PBH, was absolutely wonderful. She immediately started working to fix the situation and maintained a very sweet and empathetic attitude. I was worried because this was my in-laws first trip to pensacola beach and I wanted it to be a pleasant experience, as it has always been for me. We ended up moving to this home, which was absolutely wonderful! It was clean and had plenty of room. It's beautifully decorated and has a spacious deck in front to sit and relax. The house was just across from the beach, which was perfect. I would definitely recommend this home to others! My In-laws had a wonderful time and say they are definitely coming back!!!! This is an awesome house for a large group of people. We had 6 couples and only 2 had to share a bathroom. The kitchen is stocked amazingly well for any cooking you might want to do. This time of year, the pool sees no sun until late afternoon, so the water was really cold. Plenty of room for everyone to sit and have dinner and living room seating is plentiful as well. We had 20 people stay in this property. The property was clean and we enjoyed our time. Picking up and dropping off keys was simple. We never experienced any issues. Totally blissful. Everything lived up to the promises and expectations. This home is the best we ever had. It was clean and big enough that we were not on top of each other. We love this place and will rent it again with the whole family. The only thing that is would ask for is a pool skimmer. This house is just perfect for our family. Large dining area, plenty of seating and well stocked kitchen. Bedrooms/bathroom accommodations are very nice. 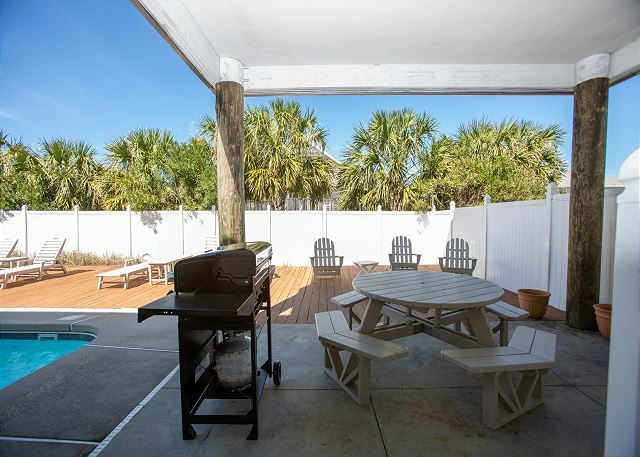 This home is right on the beach near the boardwalk and in great shape. The kitchen is well equipped and the a/c works wonderfully. The pool is also a big plus. Highly recommend renting this place. The only drawback is that 3 bedrooms share 1 common bathroom. This house was everything you saw on the website large enough to house 22 family really enjoyed themselves even with the rain.we stayed across from the beach. We cooked each day which made us spend quality time together. Over all everything was great .Will get with my family to see if we can host a Family reunion. Thanks to the people that work at paradise beach homes. House was clean and had everything we needed for the week. We have stayed in this house the last 3 years and it has been awesome every year. Great place to stay. Excellent property with caring and professional management. This vacation was truely the best I've had. The house has lots of room for a family and the decor sets the mood. I would definitely recommend this house to all my friends and family. It has beach views and very convenient to the beach. We had a great stay and will be back. 9 out of 10. There were 15 of us. Ages ranged from 4 to 90. Served our objectives very well. Distance from gulf beach were a bit awkward for old man and little guys. One of the best vacstions. First time to Pensacola Beach and it was awesome. Had group of 21 and everyone thought everything was great. We will be back. Although the property was clean and neat, there were a few problems that need to be corrected. Both refrigerators were extremely warm and had numerous broken shelves. Some kitchen cabinets were broken and continued to fall off the tracks. The deck nails were raised and very dangerous for bare feet. The back bedroom had a leaky window during a rain storm and all the bathrooms had black mold around the air conditioning vents. I believe these situations should be corrected for the safety and health of future visitors. 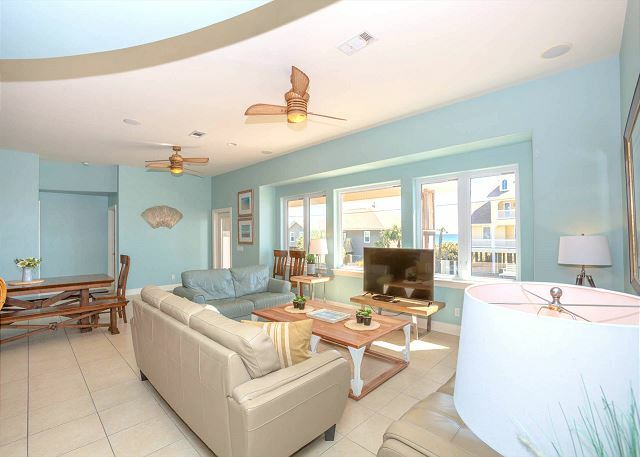 This spacious beach home accommodated our family of 15 beautifully. We had a beautiful view of the gulf and just a short walk to the beach across a quiet street which is a plus since we had many children. We spent most of our time on the beautiful white sand beach or in the pool, but did visit local shops and eateries nearby.Would definitely rent this beach home again. 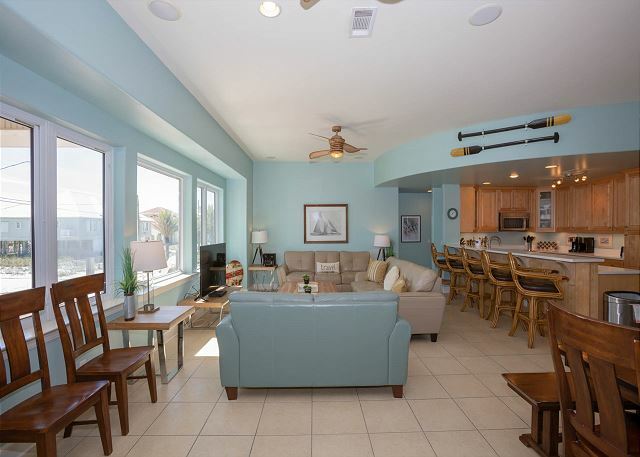 The house was spacious and very conveniently located to the beach. We enjoyed the ocean views from the living/dining area. The home was well set-up for our group of 17, ages 4 months to 85 years. The pool was an added feature with plenty of shade and lights for night swimming. The teenagers enjoyed riding the free shuttle to the shops and restaurants. My only concern was the condition of the main refrigerator (there was a second on the lower level, which was nice to have). The ice maker did not work. There was an additional ice maker but it did not produce much at all. Also, the dishwasher did not clean properly at all and we had to hand wash a lot of dishes. If there were new appliances, I would rent this house again. Great Stay at 1101 Ariola! We had a great time at 1101 Ariola. The house is beautiful, and it was well furnished and stocked. It is a 30-second walk from the beach, and the pool is very private. I would love to stay here again in the future. The only thing that could have made it better would have been if it came with some bikes, boogie boards, toys, etc. We had a great time. The rental was very spacious, great for a larger group. It was wonderful being so close to the beach and yet have your own private pool. Lots of parking!! We loved the porch. It was great to watch the blue angels fly over from it. The only issue was the counter was cracked when we got there. We would use paradise rentals again in the future!!! It was an absolutely wonderful Easter getaway at the beach house. House was fabulous for our large family. Directly across the street from the beach access. Our family walked to church Sunday morning. Overall a perfect vacation. The beach house whenever you looked out of the windows.There was plenty of room in the living room for everybody and there were more than enough bedrooms.The washer and dryer came in real handy as did the ice maker with all the people staying there.Even though it was to cold to use the pool area was nice and big and it did have a gas grill we did get a chance to use.There was plenty of space both upstairs and downstairs and parking was not a problem.We all had a great time. The house was beautiful! Everyone had a great time! We would definitely rent this property again! My family of 9 adults and 6 children had a great weekend in this house. 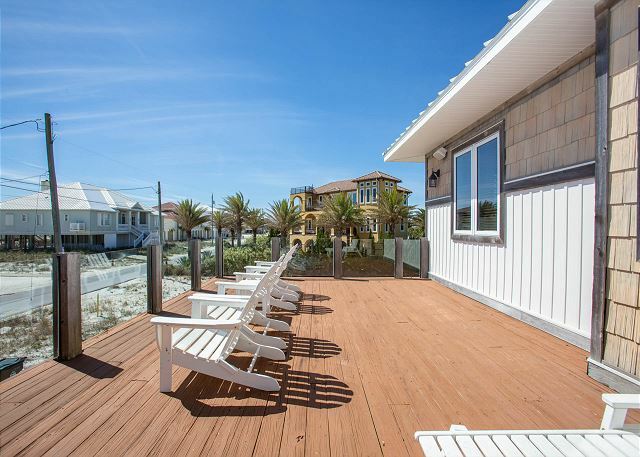 Location is perfect--a short stroll across the street to the beach. And it's a great beach. We found the house sandy, but in generally good shape. A little spartan, though--furniture is comfortable but a lot of hard surfaces with no touches to give it warmth. We ended up buying placemats and flowers to make it a bit homier. Also a box of wine glasses, as the kitchen had none, which we thought odd. But the house has a great layout, a great table that seats 16--important to us--and the Paradise Beach folks were fabulous in every way. We had a TV go out, and they replaced it very quickly. We loved dealing with them and will rent from them again. the house was in a good location...plenty of parking....maintained fairly well. Our family vacation at the beach was everything we hoped for! The house was amazing, clean and perfect for our crowd, the location was outstanding, the amenities (Pool!) fantastic! 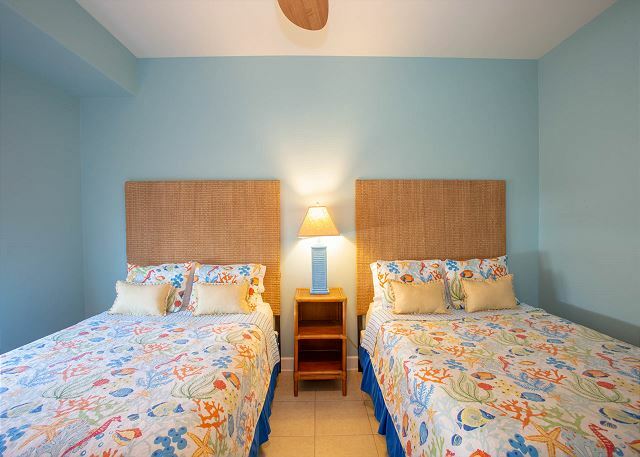 Our family had such a great time, we'll be sure to recommend Paradise Beach Homes to other family and friends, and it will be at the top of our list for future vacations! Loved the new couches, but overall cleanliness of this property was a big let-down, especially for the cost of housekeeping! We also had to clean the pool ourselves. Took our Baseball team to a tournament. Had a great time. Rental property was wonderful very easy to work with and everything was ready to go when we got there. The grill was very used. Did not like the feather pillows on the couch. The feathers were everywhere, and that along with the cloth couch were a problem for my allergies. Cloth did not seem very practical for a couch at the beach. Also would have liked suitcase stands like they have in hotels rather than having to put my suitcase on the floor (seems like they would be cheap to provide). There were no hangers in closet, and generally house could be better equipped. Otherwise very nice place, pretty clean, and great location. Front patio was nice and big, a pool and grill out back, and easy access to beautiful Pensacola Beach.